The Dark Bronze Collection of household electrical fittings adds quality and minimalism to any interior design project. 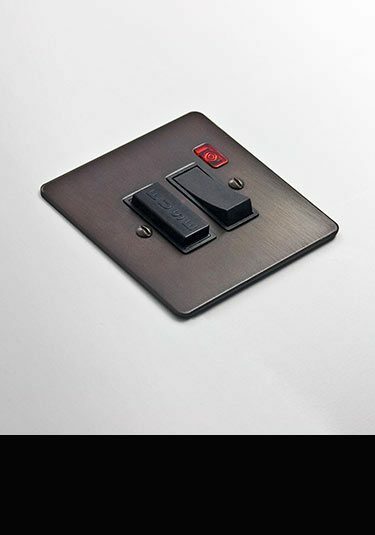 Supplied with solid metal dark bronze back plates, this electrical range works so well in all design settings. Within this collection we can supply a full range of electrical fittings including TV and telephone points, cooker points, plus the full range of electrical plug sockets and switches. 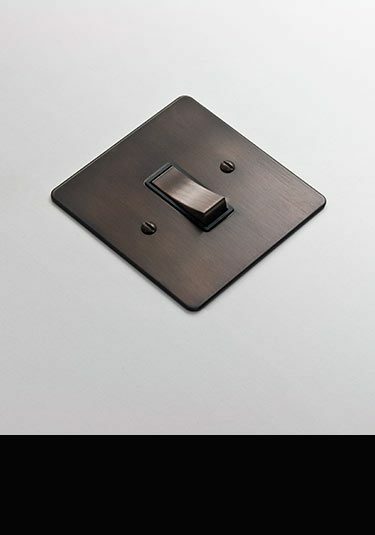 Stylish dark Bronze finish on solid metal backplates these luxury electrical light switches have a choice of toggle, rocker and dimmer switching. Made in Britain. A dark bronze finish on a solid metal backplate these plug sockets and complimentary household sockets are luxury British made electrical fittings. 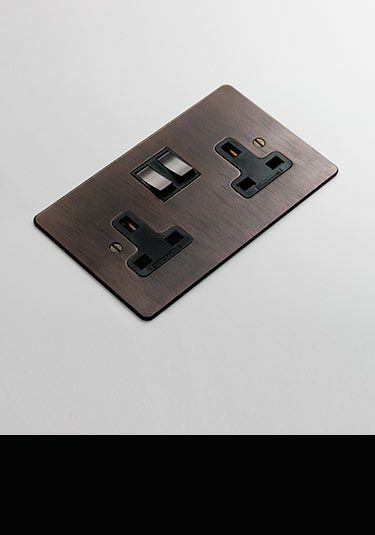 Superb quality sundry electrical fittings in a stylish and exclusive dark bronze finish on a solid flat metal backplate. Included within this range are telephone, TV and satellite sockets, fuse spurs and data points as well as cooker switches. Made and designed in Britain.